Jazz, swing, blues and country music have all been married to rock and roll since its beginnings. And two towering figures in the origin story of rock music are Elvis Presley and Scotty Moore. Presley was such an obvious giant, we might even tend to forget that he contained in his voice and his repertoire Bing Crosby, Frank Sinatra, Jerry Lee Lewis, Jimmy Rodgers and the church choir, and still somehow occupied his own sonic and performative space. But that’s for another time. 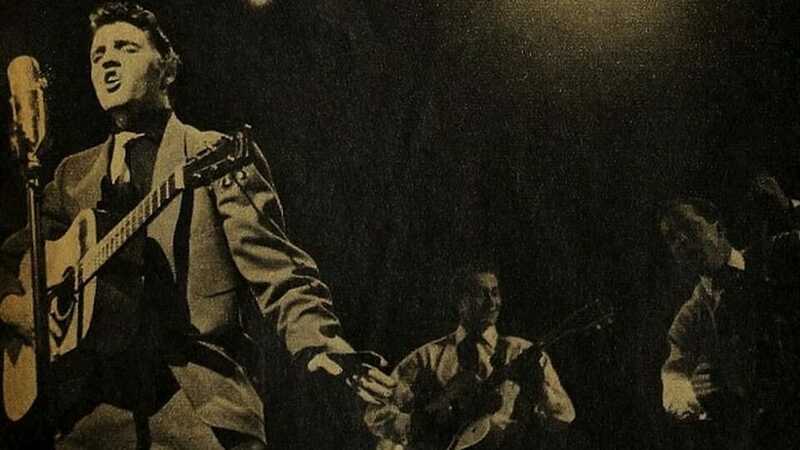 Today, let’s appreciate Scotty Moore, the electric guitarist on most of Presley’s greatest hits, who died recently in Nashville at the age of 84. His work was crucial to Elvis’s initial musical and commercial success. His guitar parts, matched with Elvis’ brilliant vocals, were absolutely pivotal in the development of rock and roll. Moore was grounded in swing and jazz and country blues guitar, and he consistently added just the right ingredient to hit after hit. Guitar geeks everywhere learned to envy his instrument choices, notably his famous Gibson ES-295, later the Gibson L5 and finally the Gibson Super 400, which he and Presley played for the famous comeback special. Hearing of his passing, and with a desire to reflect on his legacy, I have just listened again closely to his parts for Presley hits like “Hound Dog,” “Jailhouse Rock,” “Mystery Train,” “Blue Suede Shoes,” “Heartbreak Hotel,” and a number of others across his years with Elvis. I am struck anew by Scotty’s wide dynamic range, his sweet warm sound, his generous group musicianship, and his remarkable combination of adventurousness and restraint as a player. I am excited all over again to ear-witness through the magic of recording the foundational links Moore is creating in the early sides with Elvis — bridges he is building or reinforcing across musical traditions. His knitting together of techniques and materials from swing, jazz, country blues, and ragtime fingerpicking, whatever the song seems to require, is continually astonishing. I appreciate today with fresh ears Moore’s splendid and courageous balance as a musician, his ability to support the singer but also to assert the guitar as a lead voice through multiple strategies — to protect the groove but also to dare. So much could be said about Scotty Moore’s achievements as a recording musician, and those who knew him are sharing wonderful stories of the man. But I’ll share one more moment of his recorded brilliance which has informed my thinking, my sense of what it means to play in a band. In “Hound Dog,” Moore is grinding out power chord eighth notes, swooping into the voicings at the beginning of certain bars in a deliciously punky way. This is 1956. It freaking rocks, and Scotty Moore is an indisputable badass. But check this: Scotty has the ears, the sheer love of the song and the sound, to say to himself, “Hold up – I’m gonna check out of that crunchy rhythm thing for two bars when it hits the IV chord, and play a stabby little jump blues horn lick with a lot of space in it, let people hear the rest of the band a bit.” And Moore does that every single verse. It’s a simple choice. It’s not virtuosic, but it’s a moment of awareness of the musical space that is typical of Moore’s work, a generous and truly artistic decision. It makes the song. Scotty Moore was the right axe, and the right ears, at the right time. He had the musical education, the chops, the imagination, and the adaptability to handle the fusion which both the emerging genre, and Presley’s talent in particular, required. Thanks for the rock and roll, Mr. Moore. Photo Credit: Public domain image of Elvis Presley with Scotty Moore and Bill Black.